Our 2016 Member Satisfaction Survey results are in — how did we do? The Results Are In! How Did We Do? Your participation in our member research – from monthly Quick Polls through to our Advisory Panel – provides us valuable feedback; which as a member-owned co-op, we don’t take lightly. In fact, your feedback has been instrumental in some of our recent initiatives like our app, Modo Plus, and even our 15-minute booking increments — so give yourselves a pat on the back! 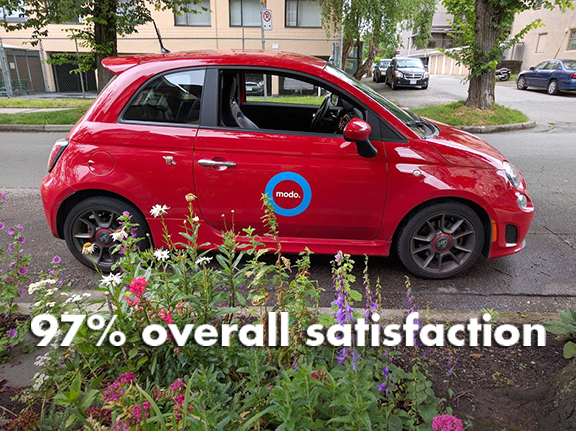 We've captured some highlights including what you think of our fleet, how many of you would refer a friend and how many personally owned cars we removed from our roads! CAR CHANGE at Lions Gate Hospital: We've swapped in a 2010 brown Dodge Grand Caravan (#309) while the Toyota Sienna is undergoing repairs. UPGRADE at Toronto Road: There's now a 2016 white Honda Fit (#797) instead of a 2011 Nissan Versa. NEW LOCATION at Eagles & East Mall: A 2016 red Honda Fit (#807) now lives on the south side of Eagles Drive, in a designated stall at the corner of East Mall. UPGRADE at Capitol Residences: A 2016 black Nissan Rogue (#796) has replaced the 2010 Dodge Grand Caravan. UPGRADE at Pacific Centre: There's now a 2013 blue Nissan Versa sedan (#436) instead of a 2010 Versa. CAR CHANGE at Richards & Drake: We've replaced the 2013 Dodge Avenger with a 2016 blue Toyota Corolla (#804). UPGRADE at Gore & Railway: We've replaced the 2013 Dodge Avenger with a 2016 blue Toyota Corolla (#804). UPGRADE at Fairview Village: A 2016 red Honda Fit (#798) has replaced the 2013 Nissan Versa. CAR CHANGE at Grant & Commercial: There's now a 2016 red Toyota Prius C (#803) instead of a grey one. UPGRADE at Trutch & W. 12th: We've replaced the 2010 Dodge Grand Caravan with a 2016 white Toyota Sienna (#768). CAR CHANGE at Cherry Hill: The 2012 Fiat 500 has been replaced by a 2011 red Nissan Versa hatch (#344). NEW LOCATION at Esticana: You can find a 2015 silver Nissan Versa Note (#652) behind 1234 Barclay Street, in the alley between Jervis and Bute. NEW LOCATION at Dover House: A 2016 black Honda Fit (#806) now lives behind 1138 Yates Street, in the block between Cook and Chambers. Kelvin is our Director of Fleet Operations and knows our vehicles inside and out. This month, he's comparing the cargo capacity of our vans. Which one is best for moving house? Or a trip to the garden centre? Read up on our Heavy Lifters! Have you explored all the features our app has to offer? Matt, one of our software developers, has some tips for members booking on the go but his top tip? Update your app! Lanni Marchant is the current Canadian marathon record holder and based in Vancouver for her #RoadtoRio Summer Olympics training runs. Lanni is hoping to compete in both the women’s marathon and 10,000m. For the times “when these legs can’t make the trip”, Modo gets her around Vancouver — whether it’s to explore new trails or check in with her physio. 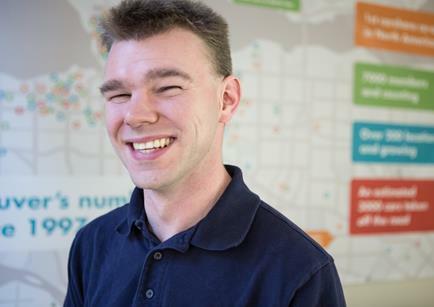 Vancity's Aaron Cowie has made the switch to a greener commute by trading in his car and relying on transit, cycling and carsharing for a month as part of the Generation Squeeze Transportation Makeover. "My Modo is a good problem solver for me, should I need something quicker than transit or for transporting anything bigger than I can carry, it works great for me in that respect. All in all I have gotten into a good groove and see this as a longer term solution." - Aaron Cowie. When you're not driving a Modo, how do you get around? Share your answers in our July Quick Poll! Ending July 19th, bookings in these cars are 10% off! 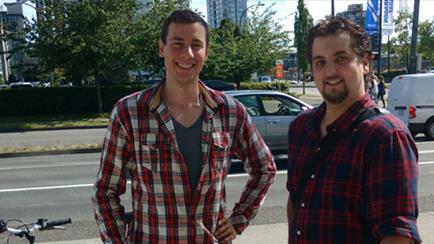 >> GOOD MONEY Vancity is collecting ideas of how to ease the squeeze: Share your #DontGiveUp story on their blog! 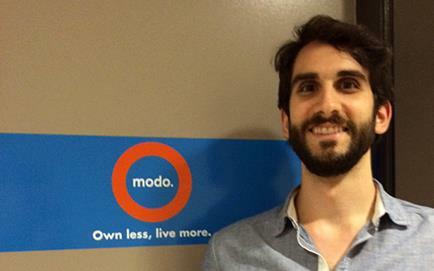 >> MOBI TO YOUR MODO Vancouver's first bikeshare program is launching this month. Have you signed up as a founding member yet? 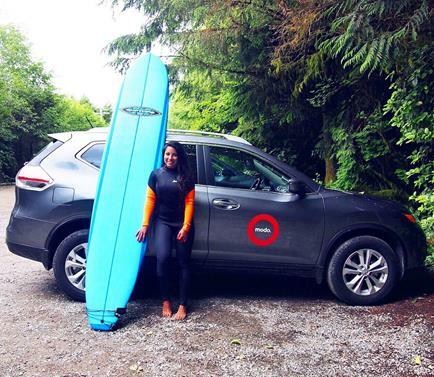 >> TOFINO TIMES Modo Ambassador Alicia explored Tofino for 3 days with a Modo Nissan Rogue (watch her video here). But if you're considering a shorter trip, Modo member Tommy did a 24-hour trip to Tofino roaming with our friends at Nanaimo Car Share! >> MODO'S MOMPRENEUR Modo's HR and Office Manager Bernice is one half of the team behind Wuchild, together with her business partner and fellow "Mompreneur" Yvette Wu. >> FERRY FLEET Have you taken our ferry cars for a trip to the Gulf Islands or a Victoria visit yet? Read about the fleet! >> TICKETS FOR TWO Lucky Member Jenna found two OUTstages tickets in her Modo — and just a day later, she found our second pair of tickets! But because our members rock, she left the tickets in the car for the next member. Thanks, Jenna! >> RUN WITH MODO Modo Ambassador Adrian joined the Canada Running Series Scotiabank Half & 5k! Don't forget, members get 10% off the race entry for the Eastside 10k using the code MODOMEMBER! Modo Ambassador Lisa Corriveau, is hosting free info workshops on the basics of biking with your little ones at Mount Pleasant Family Centre (2910 St. George Street). RSVP via Eventbrite. 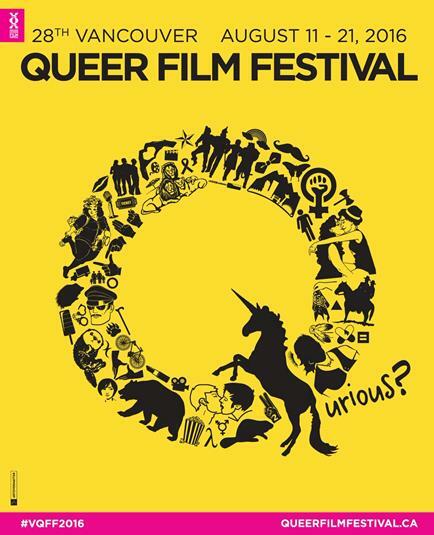 Don't miss one of the largest and most succesful LGBTQ2+ events in the world: The Vancouver Pride Parade! This year's theme: Better together. Modo is a proud sponsor of the VQFF! Tickets go on sale July 14, but you can pick up a Scotiabank Super Pass starting July 7.